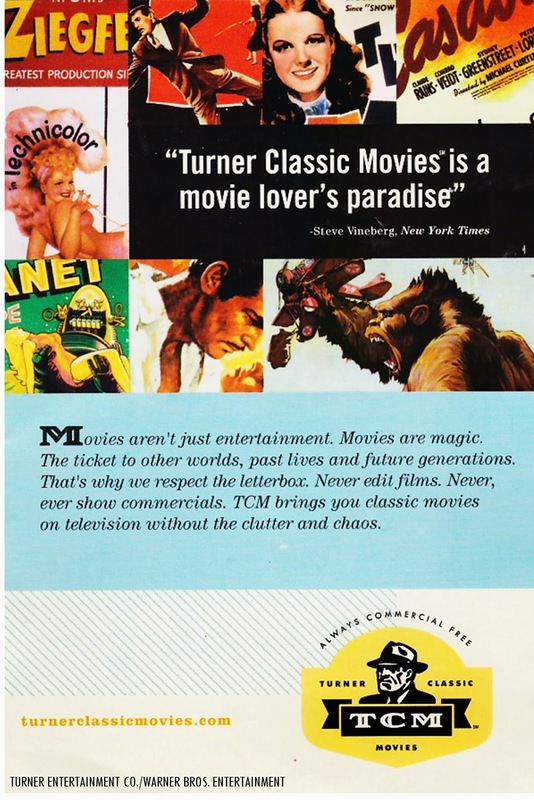 Leaflet for Turner Classic Movies, which was included with most classic Warner Bros. DVD releases many years ago (including pre-1948 WB and post-1948 WB classic features, along with Turner Entertainment’s holdings of classic RKO features and classic pre-1986 Metro-Goldwyn-Mayer features). 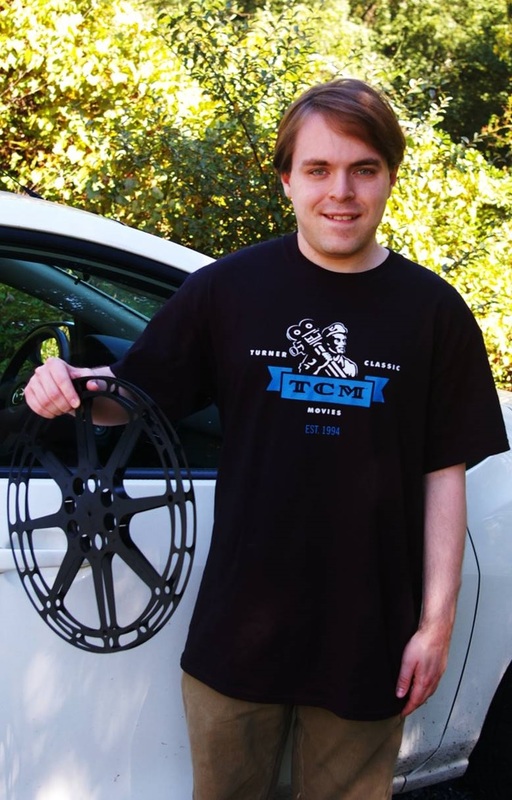 The writer of “Silver Screen Reflections” commemorates Turner Classic Movies and the network’s 25th anniversary! Happy 25th and here’s to many more years of classic features, cult features and rarely-seen classics on the network! -C.H. One of cinema’s legendary features of 1948 will be returning to the big screen for its 70th anniversary. 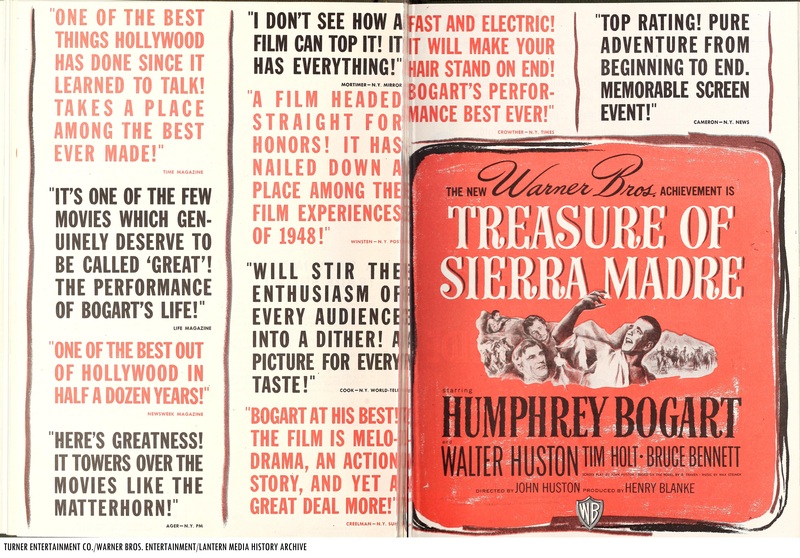 Turner Classic Movies, in association with Warner Bros. Pictures and Fathom Events will present the 70th anniversary screening of “The Treasure of the Sierra Madre” (1948). The revival presentation of the 1948 screen adaptation of B. Traven’s novel will take place in participating cinema venues from coast-to-coast on Sun., Jan. 14 and Tue., Jan. 16* at 2 p.m. and 7 p.m. local time. The TCM “Big Screen Classics” 70th anniversary showcase of “The Treasure of the Sierra Madre” (1948) will also feature pre-recorded opening introduction and closing conclusion segments by TCM host Ben Mankiewicz. Directed by John Huston, the players who appeared in “The Treasure of the Sierra Madre” were Humphrey Bogart (as Dobbs), Walter Huston (as Howard), Tim Holt (as Curtin), Bruce Bennett (as Cody), Barton MacLane (as McCormick), Alfonso Bedoya (as Gold Hat), A. Soto Rangel (as Presidente), Robert Blake (in an uncredited role as a boy selling lottery tickets), a pre-“Lone Ranger” Jay Silverheels (in an uncredited role as a pier Indian guide) and Jack Holt (in an uncredited role as a flophouse bum). John Huston also made an uncredited bit cameo appearance in the film as an American tourist in Tampico. One of the most iconic films from the golden age of cinema will be returning to the big screen for its 75th anniversary. Warner Bros. lobby card art for “Casablanca” (1942). 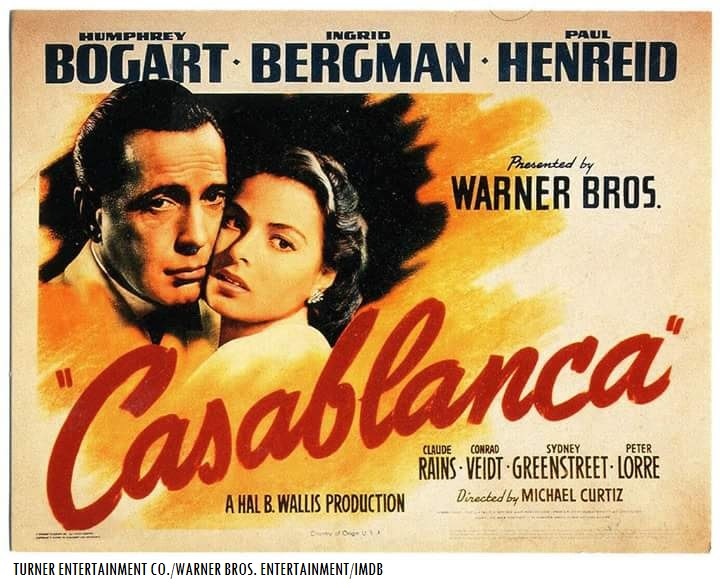 Turner Classic Movies, in association with Warner Bros. Pictures and Fathom Events will be presenting the 75th anniversary revival screening of “Casablanca” (1942). The re-release will take place in select cinema venues from coast-to-coast on Sun., Nov. 12 and Wed., Nov. 15 at 2 p.m. and 7 p.m. (local time). The 75th anniversary re-release will also have pre-recorded opening introduction and closing conclusion segments by TCM on-air host Ben Mankiewicz. Directed by Michael Curtiz, the players who appeared in “Casablanca” were Humphrey Bogart (as Rick Blaine), Ingrid Bergman (as Ilsa Lund), Paul Henreid (as Victor Lazlo), Claude Rains (as Louis Renault), Peter Lorre (as Ugarte), Dooley Wilson (as Sam), S.Z. 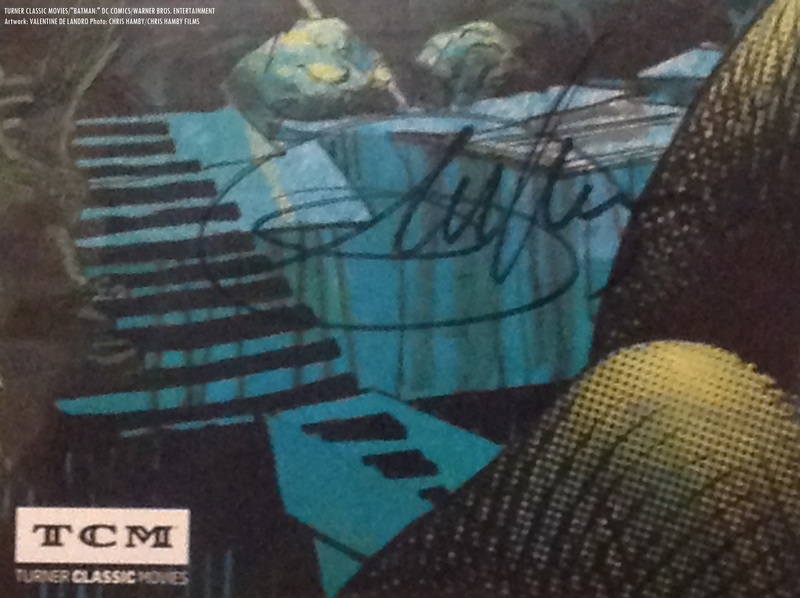 “Cuddles” Sakall (as Carl), Conrad Veidt (as Strasser), Sydney Greenstreet (as Ferrari), Madeleine Lebeau (as Yvonne), Joy Page (as Annina Brandel), John Qualen (as Berger) and Leonid Kinskey (as Sacha). The producer of “Casablanca” was Hal B. Wallis, Jack L. Warner (Warner Bros. studio head and co-founder) served as executive producer on the film. 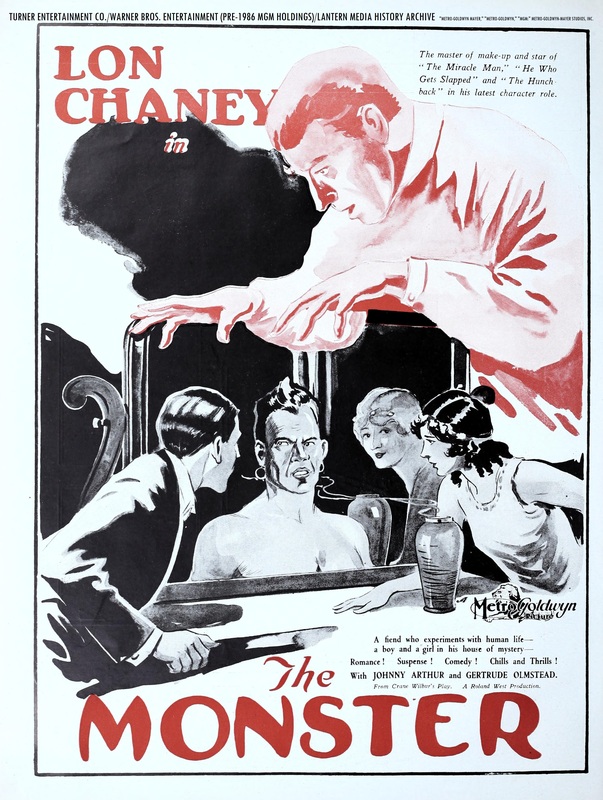 The senior Lon Chaney played the role of Dr. Ziska in Roland West’s 1925 silent, “The Monster.” In addition to Chaney, the players who appeared in West’s film were Gertrude Olmstead (as Betty Watson), Hallam Cooley (as Watson’s head clerk), Johnny Arthur (as the under clerk), Frank “George” Austin (as Rigo), Charles A. Sellon (as the constable), Knute Erickson (as Daffy Dan) and Walter James (as Caliban). 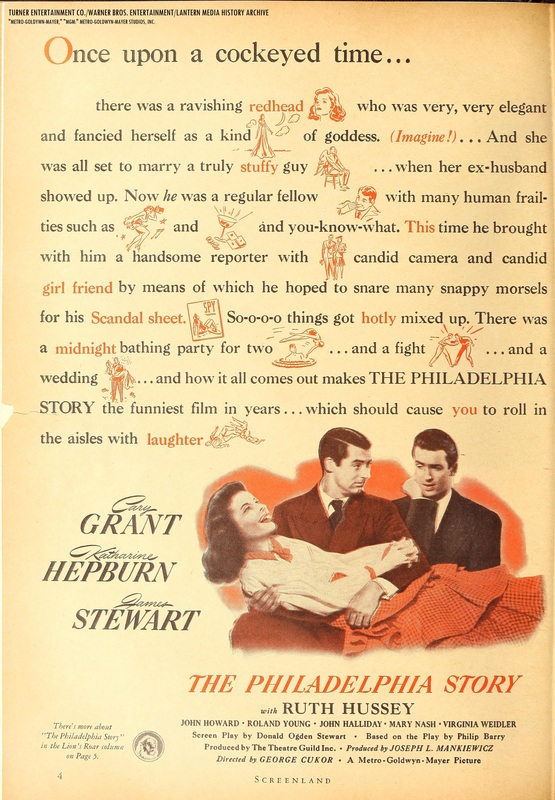 West’s film was based off of the stage play of the same name by Crane Wilbur. 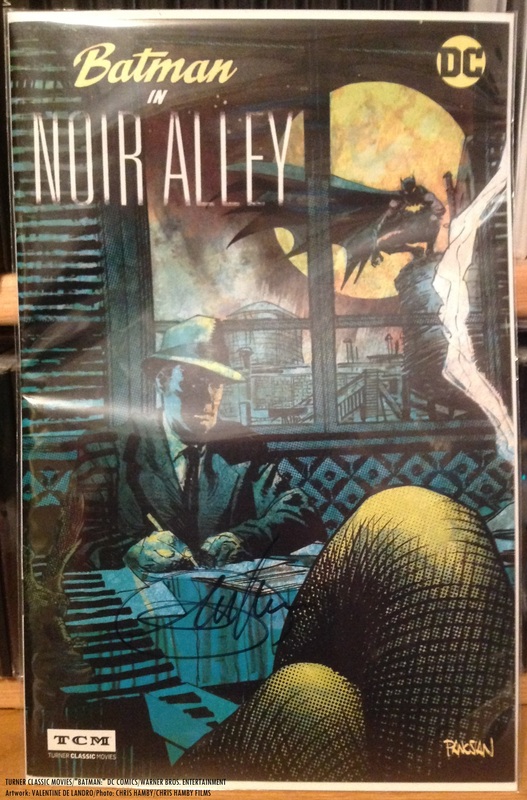 Wilbur later wrote the screenplay for the 1953 Warner Bros. 3-D thriller “House of Wax,” which featured Vincent Price.